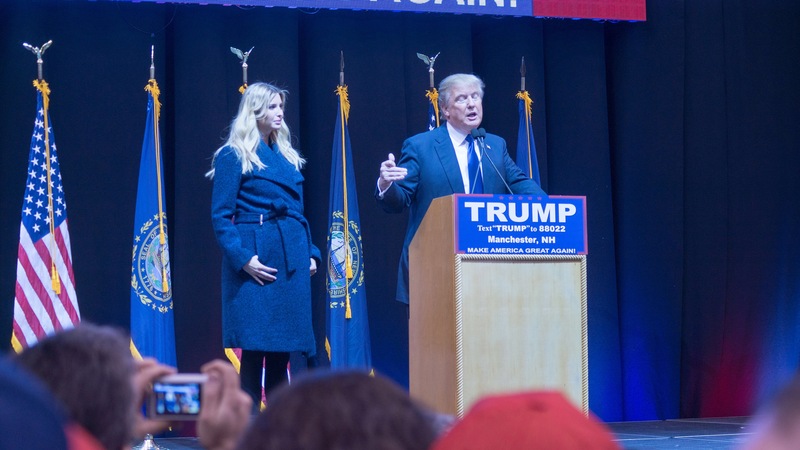 When Donald Trump promised in early January to hand over control of his businesses before becoming president, Trump’s daughter, Ivanka, pledged to do the same thing. “I will no longer be involved with the management or operations of the Trump Organization,” Ivanka Trump wrote on Facebook. Ivanka said that she would take a “formal leave of absence” when her father was sworn in. Yet Ivanka is still listed as running Trump businesses on active state liquor licenses in Florida and New York, as of Thursday afternoon. The licenses cover two golf clubs, a resort and a hotel. ProPublica obtained the documents and records through open-records requests. Being listed on a license means that person is considered the responsible manager of a business. For example, that is who is responsible for business contracts. Ivanka Trump is also still listed in New York state business filings as the chief executive officer of her eponymous jewelry companies in Florida and New York. Her personal Twitter and Facebook accounts also still link directly to her corporate website. In response to questions, the Trump Organization said Ivanka resigned from all “positions of management and authority” on Jan. 18 and that the company simply hasn’t filed the changes yet. “We are taking steps to update records in the various states and other jurisdictions consistent with governing law,” the company said in its statement. The Trump Organization did not give us any company documents showing Ivanka Trump’s resignation. Both Florida and New York require that any changes in leadership be recorded on liquor licenses within 10 business days of the move. If Ivanka Trump had resigned Jan. 18, the states’ deadline for changes would have been Feb. 1. Ivanka’s name was taken off a Washington, D.C., liquor license at the new Trump International Hotel last week. The missing filings mirror Donald Trump’s then-absent paperwork that we detailed on Inauguration Day. The Trump Organization later released a company letter declaring his resignation from more than 400 companies. It has since filed paperwork in Florida showing Trump resigning from at least 22 companies. His name was also taken off a North Carolina liquor license in early January and the District of Columbia license last week. Many ethics and tax experts across the political spectrum have said that Trump’s promises are far from enough. They say that the president needs to either sell his companies or put them in a blind trust run by an outsider. Trump’s resignation letter “doesn’t say anything about the underlying economic interests in the companies he continues to have,” said Lawrence Hamermesh, director of the Widener Institute of Delaware Corporate and Business Law. Trump has said his businesses have been placed in a trust to be run by his two adult sons, Donald Trump Jr. and Eric Trump, and a longtime Trump employee. A chief compliance officer and outside ethics adviser for the Trump Organization were named last week, along with a new White House counsel overseeing ethics policies. Recently filings in Washington list President Trump as the “exclusive” beneficiary of the trust. Trump’s businesses have already faced questions about whether they are profiting off of the commander-in-chief’s increased exposure. Mar-A-Lago, the members-only golf club in Florida, doubled its initiation fees for new members to $200,000 on Jan. 1, citing increased demand. Trump Hotels’ CEO also recently floated the idea of expanding in the U.S. In recent years, Ivanka Trump’s star has risen, and her clothing and jewelry lines have flourished. Her clothing line saw a nearly $30 million increase in sales through just one of her distributors last year. She was criticized when her jewelry company sent out an email promoting a bracelet she wore during a November appearance on the TV news program “60 Minutes.” Her husband, Jared Kushner, has his own business empire: Kushner Companies, a real-estate development company started by his father. Kushner has also stepped down from his company, and sold some of his real-estate holdings and other assets, to take a role in advising the White House. Because the Trump Organization is made up of privately held companies and living trusts, much of its official business can be done out of public view, corporate attorneys say. A private company’s ownership structure — specifically who has equity in the company — is not a matter of public record. While changes to management have to be filed in liquor licenses, other internal operating agreements of private companies can be changed without public filings. Trump businesses are required to give banks copies of non-public governing documents detailing their officers and bylaws. Title companies would also require similar information if they were working on current deals. These filings are also not public. ProPublica received copies of some Trump company internal operating agreements, as part of our Washington, D.C., open-records request, but these records do not include information about specific ownership stakes. Elisabeth Gawthrop and Alison Gregor contributed to this report.